Vertical spirit-filled thermometer ideal for fridge or freezer. 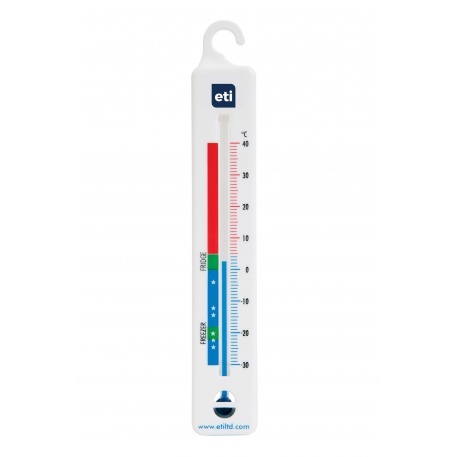 This ETI vertical spirit-filled fridge freezer thermometer is low-cost and features clearly marked colour-coded zones for ease of reading. The fridge freezer thermometer indicates temperature over the range of -30 to 40°C in 1°C divisions. The white ABS case measures 24 x 150mm and incorporates a plastic hook to hang from a shelf. 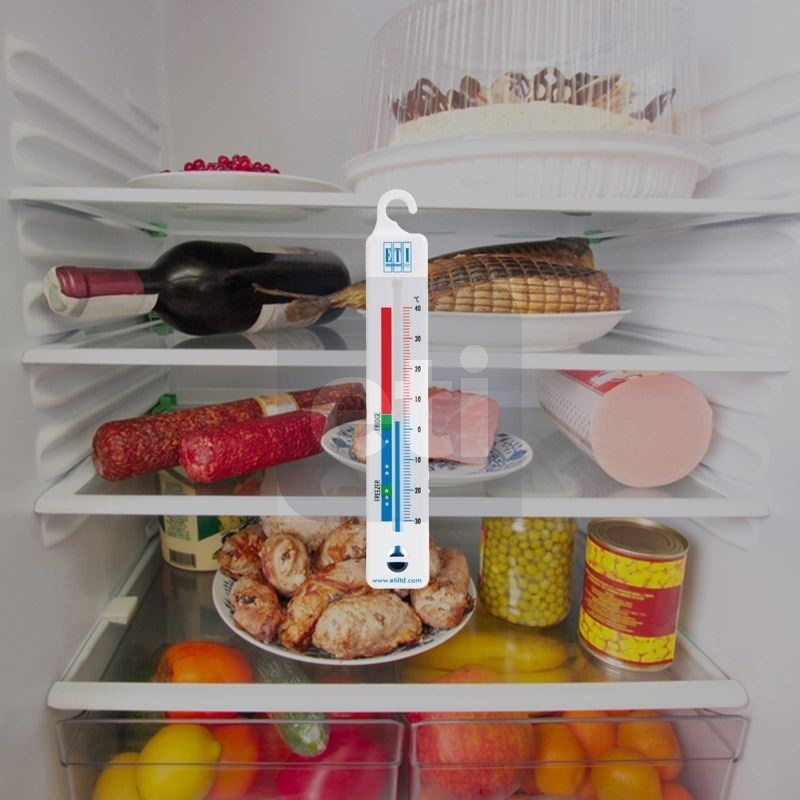 An ideal, low-cost thermometer for home, office or commercial fridge - freezer.